"Divine Craft Demon G.o.d !" Ye ZhangFeng was looking at the huge bone ship in the sky, which was slowly emerging from the dark; suddenly he cried out in fear with an aghast face and disbelieving look. In the inky black clouds, a huge, dazzling, eye-catching bone ship was approaching, bring along the earth-shaking, destructive aura which froze ShiYan's heart and gave him a powerless feeling. When Ye ZhangFeng screamed out, a strange light glinted in his eyes. He hesitated a little bit before quickly turning to Lin YaQi and said, "Sister, we should leave immediately." Lin YaQi's countenance looked unprecedentedly heavy. She nodded slowly and uttered softly, "Yeah." "What is the Divine Craft Demon G.o.d?" ShiYan couldn't help but ask while his face was changing dramatically. After having looked at the anomaly in the sky, he walked over LinDa's side and unhesitatingly dragged her to where everyone else was gathering. When LinDa came to the crowd, she was a little shy and frightened looking at Xia XinYan. She then bowed her head, didn't dare to talk. LinDa was from the Kele Clan on the Snow Dragon Island. This small clan was not a prominent force in the Endless Sea, just an outer force of the Three G.o.ds Sect, and could not compare with the Xia Family. In addition to the huge gap between their origins, Xia XinYan was too beautiful and n.o.ble; she also possessed a profound cultivation base as well as the Reincarnation Martial Spirit. With all those reasons, LinDa had a feeling of inferiority when facing Xia XinYan. She stood next to ShiYan disconcertedly, didn't even dare to glance at Xia XinYan. Xia XinYan was a little doubtful, didn't know how ShiYan had known LinDa. However, given the current strange situation, she didn't ask about this but looked at Ye ZhangFeng with an astonished face, waiting for him to explain something related to the Divine Craft Demon G.o.d. "The Divine Craft Demon G.o.d is the flying palace of the Demon King ChiYan. It has existed for a long time. There were some other Demon Kings before ChiYan who used to own this flying palace. Some people have said that this Divine Craft Demon G.o.d has been made of bones, flesh, blood, and souls of the ninth level beasts in the Demon Area. It is not only huge but also terribly powerful." Ye ZhangFeng said with a serious face, "The Divine Craft Demon G.o.d is the cultivation place of Demon King ChiYan. If the Divine Craft Demon G.o.d appears in the Endless Sea, it means that Demon King ChiYan should also be inside that Ship. ChiYan is at the Third Sky of the G.o.d Realm, and he is only half step away to reach the True G.o.d Realm. As such powerful person shows up here, the people on the Sun Island should probably seek for blessings." "Impossible!" ShiYan's face changed tragically. He spoke out loud, "With that level, how can Demon King ChiYan enter the Endless Sea with his true body? Before the Corpse Soul Bridge is finished, they definitely cannot arrive here with their true bodies." "I don't know either," Ye ZhangFeng shook his head, "In the legend, wherever the Divine Craft Demon G.o.d is, Demon King ChiYan will be there as well." "We have to leave immediately." Xia ShenChuan contemplated a little bit and then made a quick decision, "No matter if ChiYan is inside that ship or not, even though he knows that many masters are gathering on the Sun Island today, he still wantonly invades. It means these Demon Dwellers should have some kind of crutch; otherwise, they wouldn't dare to take risks like this." Even ShiYan also nodded in agreement with Xia ShenChuan's suggestion. However, at this point of time. The Divine Craft Demon G.o.d was piercing layers upon layers of devil clouds, gradually revealing itself and slowly drifting toward the Sacred Light Mountain. The sunlight from the Sun Island appeared again, forming a dome of light to prevent the invasion. The dome of light was like layers upon layers of waves, creating a marvelous flower of light blossoming in the sky. It looked like a big bowl turning upside down, enclosing everyone inside. In this situation, no one dared to break through. "Great Sun Holy Light TianMu!" This was a miraculous formation technique which had existed for hundreds of years on the Sun Island. In the legend, the Great Sun Holy Light TianMu had been broken only three times. Even if G.o.d Realm warriors kept launching their strikes continually, consuming their powers for several days and nights, they still hardly broke down the Great Sun Holy Light TianMu. However, the Great Sun Holy Light TianMu was about to endure the fourth break. The bone ship like a club-shaped arrow burst out the black lights. Millions of flows of black lights producing the 'creak creak' noises, started condensing and creating a horrible, semi-round shaped sickle. As soon as the semi-round shaped sickle appeared, the Sky and Earth seemed to tremble for a moment. This terrifying Sickle was pitch-black with devilish icy light flashing around. This Sickle launched a strike on the Great Sun Holy Light TianMu violently. Under one blow of the Sickle, the Great Sun Holy Light TianMu, which hadn't been broken for hundreds of years, burst into numerous dots of light, creating billions of fireflies scattering everywhere that looked like snowflakes slowly floating in the sky above the Sun Island. The Great Sun Holy Light TianMu twisted, revealing a crack where the bone ship was slowly getting through. "Great Uncle Jiao!" ShiYan's body was agitated as he was very horrified. He couldn't help but shout out loud in fear. Xia XinYan's face was aghast when she was blankly looking at a person flashing up on the bone ship. That person was Jiao Han Yi. 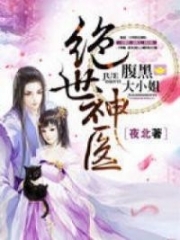 That year, when ShiYan and Xia XinYan had just arrived in the Endless Sea, they had been ambushed and captured by a White bones truth body of Demon King Ba Xun. It was because Jiao Han Yi had protected the two of them that he had been pulled into the Demon Area by the White Bones Claws. The reason that Yang Tian Emperor had been detained in the Heavenly Demon Wind G.o.d formation was that he had also wanted to save Tian Han Yi. Regretfully, Yang Tian Emperor not only hadn't succeeded but had also been caught in a tight encirclement. Jiao Han Yi, who had an important position in ShiYan's heart, now showed up on that devilish Divine Craft Demon G.o.d today. How he could be not scared?! While he was still in inexplicable surprise, Jiao Han Yi jumped out of the Demon Ship, while his two hands had turned into huge, ferocious claws, using the full-power strength to tear the crack on the Great Sun Holy Light TianMu larger. As soon as Jiao Han Yi appeared, a horrendous flow of demon aura soared while his pupils flashed up with many black beams of light like a mysterious black hole of the universe, which seemed to be able to swallow all the light. The sunlight, which had formerly bloomed out of the Great Sun Holy Light TianMu, now disappeared in his devilish pupils one by one. In just a short time, his two pupils had completely swallowed all the light from the Great Sun Holy Light TianMu. Sky and Earth became dark and gloomy. "He is not human. Indeed, he only has a human body, but his soul has been refined for a long time." Ye ZhangFeng raised his head, looking at the person on the ship then softly whined, "That person's body has been quenched, and the soul has been erased. It has become a body for Demon King ChiYan to shelter. Demon King ChiYan cannot truly appear in the Endless Sea, and thus, he has to borrow this person's body and used the consigned soul. He seemed to have been premeditated." ShiYan's body violently shook. He stared at 'Jiao Han Yi' without blinking. His face became calm, and his eyes turned to be insensitive. After an earth-shaking scream resounded from the Divine Craft Demon G.o.d, a humanoid monster with thorns jutted out from the skin and a mouth filled with huge, long fangs ferociously appeared next to 'Jiao Han Yi'. It seemed to use the consciousness to communicate with Jiao Han Yi. That monster with human form rolled its eyes, coldly casting a quick glance at the situation beneath them one more time and kept roaring. Suddenly, many demon beasts appeared from the sea around the Sun Island and started attacking people crazily. ShiYan was bewildered, looking at that monster in the human form as if he had just got hit by a fatal strike. A 'click' resounded in his head, which was like some soul covenant had just been broken. Jiao Han Yi's sparkling black eyes was coldly looking down toward ShiYan with a sign of sarcasm. A mighty flow of consciousness broke through everything, striking toward ShiYan's head. This flow of consciousness was so strong that it made his soul defense explode and also harmed other people surrounding at the same time. "Master, be careful!" Yi TianMo, YaMeng, and KaBa were frightened, hurriedly used their souls to form a triple soul formations above ShiYan's head. Strange noises resounded from above ShiYan's head. The bodies of the three people of Yi TianMo's group were violently trembling as they were put forth all of their condensed soul powers to prevent the Demon King's evil consciousness from penetrating ShiYan's mind. A mournful scream arose. ShiYan's face changed tragically, couldn't help but looked toward LinDa. Seven holes on Linda's face were bleeding. Her beautiful eyes were sad and colorless; blood was trickling from the corners of her eyes. She stood there motionlessly as her soul had been destroyed. Xia ShenChuan held his head, screamed out in misery, moved forward to the place of Xia XinYan, Ye ZhangFeng, Lin YaQi desperately. His facial seven holes bled whenever he took one step forward while his soul was partly crushed. Before he could reach Xia XinYan's place, his body fell onto the ground flabbily. His living aura slowly disappeared. It was unknown when Lin YaQi had put on her purple headscarf, which was emitting strange circles of light forming an umbrella-like cover protecting her and Ya ZhangFeng. Because Xia XinYan was standing together with them, she had avoided the fatal danger. At this moment, Xia XinYan's beautiful eyes were full of tears. She forcefully struggled, attempting to rush outside the protection range of the umbrella cover to drag Xia ShenChuan inside it, but Ye ZhangFeng and Ling YaQi had prevented her from getting out of the purple scarf's coverage. Ye ZhangFeng knew that if she left the protection range of the scarf, her soul would be smashed. The souls of more than one hundred guards of the Three G.o.ds Sect in the manor had been destroyed in just a short time. Even though they still maintained their positions, their lives had been taken. A powerful flow of Qi flew out from LinDa's and Xia ShenChuan's bodies and then poured into ShiYan's meridians. "No! Don't stop me." ShiYan cried out unconsciously, trying to tear down the clothes on his body to prevent LinDa's Qi from infiltrating into his body. However, there were seven hundred and twenty acupuncture points on his body, how could he cover them all with just two hands? In just a short time, Linda's Qi had entered his body wholly. As Xia ShenChuan had the Sky Realm cultivation base, his Qi moved much more slowly, but it couldn't delay much of the time. When 'Jiao HanYi' appeared in the Sun Island's sky, the Divine Craft Demon G.o.d also slowly pierced through layers upon layers of obstacles, moving toward the Sacred Light Mountain, and then finally stopped amid the clouds above the mountain. "I am Demon King ChiYan. This fertile land is no longer yours. From now on, the Endless Sea belongs to us, the Demon Dwellers. You are just our captive livestock." On the Sacred Light Mountain Peak, the emotionless voice of 'Jiao Han Yi' reverberated to every corner of the Sun Island. As soon as this voice ceased, Demon King ChiYan stomped on the spot in the void and slowly moved toward ShiYan's place then said, "The Demonic Sound Clan is one of the big four clans of the Dark Dwellers. Your Three Great Dark Kings will be here in a few days. As the Demonic Sound Clan is one of Dark Dwellers' branches, you are ent.i.tled to use this fertile land. As long as you nod your heads, this vast Sea will belong to you." While he was talking, numerous ferocious Demon Dwellers stormed out from the bone ship. A horrendous aura blanketed the Sacred Light Mountain, started attacking G.o.d Realm warriors and slaughtering those with lower cultivation base. "This is not our homeland," Yi TianMo raised his head, looking at Demon King ChiYan who was approaching then said, "We want to go back to our ancestral land. I don't want to be involved in the dispute here. We will depart today." "Three days ago, the Wings Race on the Snow Dragon Island has officially returned to the Eight Demon Tribes. Thousands of pagans of the Demonic Sound Clan and Wings Race also get along well with us on the island. Even DiShan and YuRou have submitted, and you three still want to repel?" Demon King ChiYan calmly said, "I really like the three little boys Yi CuBi, YaJi, and KaTuo. Avi Dark King has said that if you three submit, he will treat your descendants well in the future. What do you think?" Yi TianMo, YaMeng, and KaBa trembled violently. It looked like all of their powers had been drained. His face was getting more ashen. Yi CuBi, YaJi, and KaTuo were their fatal point. Besides that, the entire Demonic Sound Clan and Wings Race have been in restraint. What else should they do? ShiYan now looked like a wild beast, raising his head resentfully staring at Demon King ChiYan, breathing heavily. LinDa had died. Jiao HanYi had been refined to dead. The Snow Dragon Island had fallen into the opponent's hands. This world suddenly turned upside down in a short moment. Demon King ChiYan had also destroyed his good future. You're Read God Of Slaughter Chapter 332 online at NovelOnlineFull.com. You can use the follow function to bookmark your favorite novel ( Only for registered users ). If you find any errors ( can't read,broken links, can't load photos, etc.. ), Please let us know so we can fix it as soon as possible. And when you start a conversation or debate about a certain topic with other people, please do not offend them just because you don't like their opinions. You're reading God Of Slaughter. This manga has been translated by Updating. Author(s): Ni Cang Tian,逆蒼天. Already has 6264 views. Current Time is 19-Apr-2019 12:32:00 PM.